Splunk Inc (NASDAQ:SPLK) posted a strong quarterly result on last Thursday and shook any beliefs about other companies entering its territory. The company added 500 more customers to its increasing customer list with over 7,900 customers throughout the world. 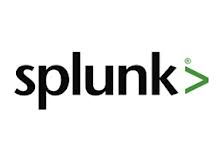 Splunk Inc (NASDAQ:SPLK) released its second quarter 2014 results on August 28, 2014 with a 53% year-over-year increase in its revenue at $101.5 million. The company generated 44% YOY higher license revenue at $62.1 million. Splunk Inc (NASDAQ:SPLK) reported GAAP operating loss of $60.4 million with $9.3 million in operating cash flow. Earlier, the company introduced 100 Percent Uptime Service Level Agreement (SLA) for Splunk Cloud, which is known for its reliable analytical abilities and allowing Splunk to offer a 100% SLA. In addition to it, Splunk Inc (NASDAQ:SPLK) offered 33% lower prices for Splunk Cloud services and the company improved customer experience with its free Splunk Online Sandbox designed to familiarize customer with the Splunk Cloud environment. Splunk Inc (NASDAQ:SPLK) is known for real-time operation intelligence software solutions and Splunk Enterprise and Splunk Cloud are the two primary services offered by the company. The company has a market cap of $6.39 billion with 96% institutional ownership. It share prices ($53.93) rose by 19.07% after the second quarter 2014 results.